Nokia’s N-Series range of smartphones had been launched in April 2005 with a trio of interesting high-end devices. A little over six months later, Nokia launched a second trio of phones.. all of which pushed back Nokia’s design boundaries a little more. Announced in November 2005, these handsets didn't actually ship to market until the following year. The Nokia N71 was a relatively conventional clamshell smartphone (especially when compared with the big but esoteric N90). 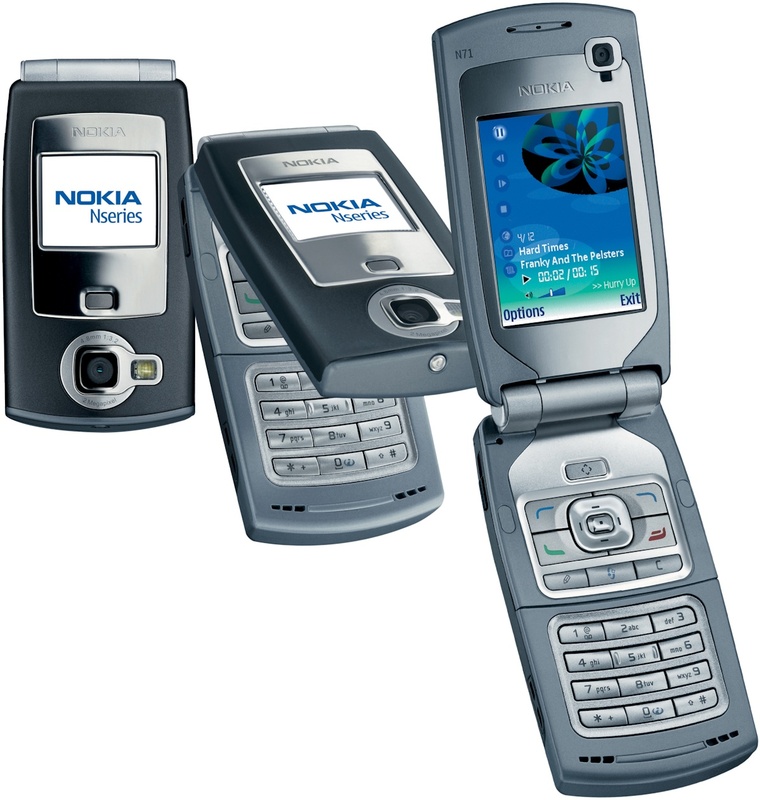 Although it sat near the bottom of the N-Series range, it still had 3G support, an FM radio, a 2 megapixel primary camera plus a low-res secondary one, a multimedia player, expandable memory and Bluetooth. At the time we remarked that it was an ugly device, but really it is quite a chunky and industrial looking device rather than being elegant exactly. It wasn’t exactly a success, perhaps in part because Nokia rarely made clamshell devices. One step up was the Nokia N80 which had a better screen, a 3 megapixel camera, WiFi and all the usual N-Series functions in a slider design that was instantly recognisable as being a Nokia, despite the somewhat novel form factor. The N80 was probably the most usable N-Series phone to date and it was something of a success. 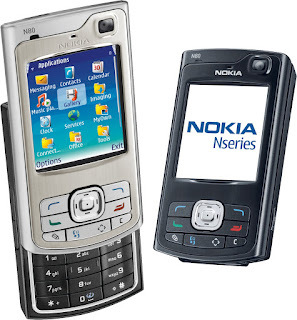 A very similar but higher-spec handset was announced about a year later.. the hugely popular Nokia N95. 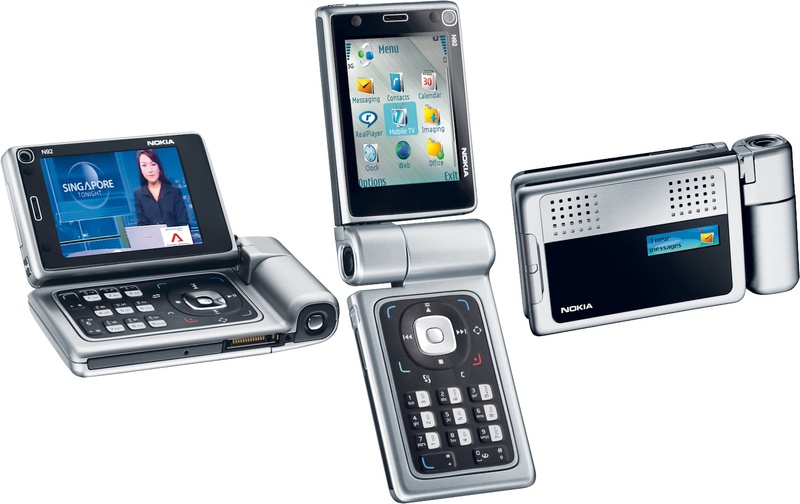 The oddest phone of the bunch was the Nokia N92 clamshell. Like the other N-Series phones, this was a Symbian smartphone with 3G support, and this also had WiFi and an FM radio. But one novel feature was a built-in DVB-H (digital TV) tuner, combined with a two-way hinge that meant you could use it either as a standard clamshell or it could open up like a laptop. Even the keypad was labelled in both directions. Another odd feature was the camera integrated into the hinge (like the Nokia N90). In the end, DVB-H was a flop and the N92 ended up being a very rare and rather desirable with prices going up to £500 / €700 today.. although the last place to broadcast DVB-H was Finland in 2012.